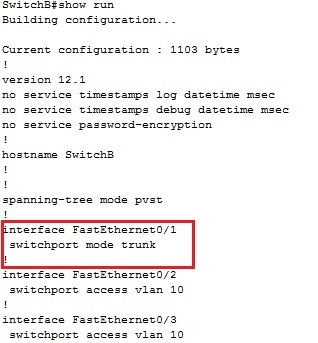 When configuring a trunk, the trunk needs to be enabled on both switches. We will configure fa0/1 as a trunk link on both Switch A and Switch B. I will be doing this via Cisco’s packet tracer program on two Cisco 2950 switches. 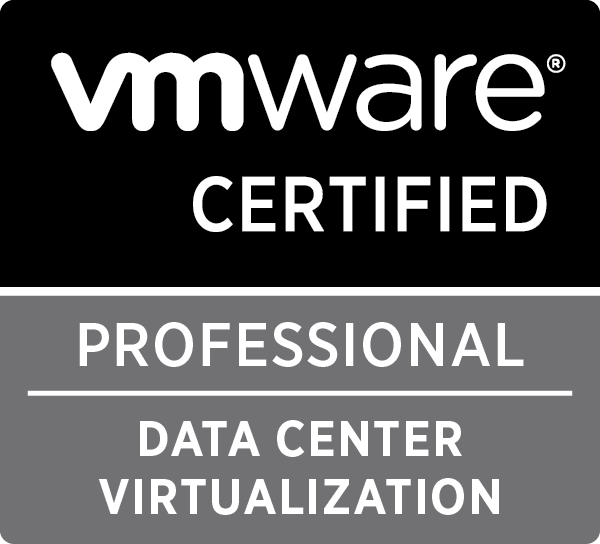 By default all VLANs are allowed to be received and sent across trunk links, this can be changed and will be discussed later on. 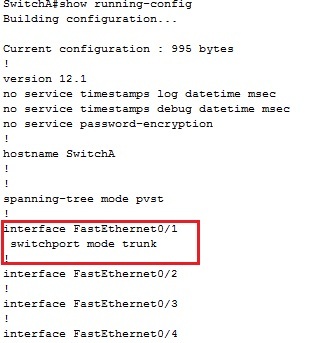 Configuring trunk on a layer 3 switch is slightly different, you have the choice of either using 802.1Q (dot1q) or ISL as the encapsulation. Newer routers don’t support ISL so It would be wise to use 802.1Q. We can restrict or allow which VLANs are allowed across a trunk link using the trunk allowed command. 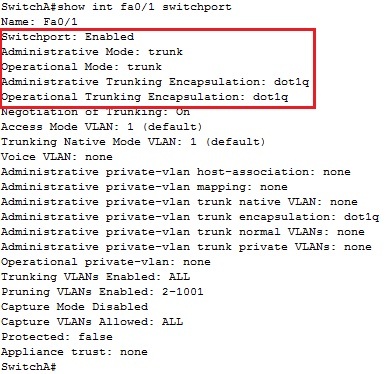 To configure allowed VLANs make sure you’re under the interface where the trunk is enabled such as interface fa0/1. There are few commands to verify a trunk link. The first is to run a show running-config on both switches. As shown above, we can see both the interfaces have been configured for trunking. The next is to display the switchport information for both interfaces on the switches. We can see from this information that the operational mode is trunk and the encapsulaton is dot1q. Lastly we can display information based on all interfaces that are enabled for trunk and what VLANs are allowed across these trunk links.